John Chisum was born in Madison County, Tennessee, on August 15, 1824. He was 13 years old when his family moved to Texas near the Oklahoma border. Soon afterward he became interested in the cattle business. His first cattle drive was across the states of Louisiana and Alabama. Swamps, rivers, insects, and mud made the drive impossible and he was forced to give up. Chisum next entered into the political arena and he was elected to the position of Lamar County Clerk. While working as county clerk he met a financier named Stephen Fowler. Fowler was interested in investing in the cattle business, but knew nothing about it. After meeting John, he was impressed by his knowledge of the cattle business. As a result, in the spring of 1854 they entered into a business relationship that would last ten years. The business venture did very well for the first five years. However things quickly went from bad to worse when the Civil War came, and then a long drought occurred. At the same time rustlers stole their cattle, and they were subjected to constant Indian raids. Soon after the war ended Stephen Fowler sold out to Chisum and Chisum moved his operation to San Angelo. At this time John Chisum was 40 years old. One day John's brother, Pitzer, discovered the New Mexico Pecos River region and he convinced John to move his operation there. Chisum's new operation was located in Bosque Grande, which was about 40 miles south of Fort Sumner. There Chisum found a multitude of ready buyers for his livestock operation. He sold to the Bosque Redondo Indian Reservation, miners, ranchers, and the United States military. At this time he also found a new partner named Charles Goodnight. Goodnight had his own successful ranch. Together they began taking cattle drives to Dodge City. In 1875, Chisum moved his headquarters to Roswell, New Mexico. His first home there was small and had only 8 tiny rooms. However, Chisum soon replaced it with an adobe building that he called the Long House. The Long House was 148 feet long and 39 feet wide. It had a dining room table that sat 26 people and there was rarely an empty seat. Chisum loved to entertain gunslingers, army officers, politicians, governors, outlaws, buffalo hunters, and peace officers. His bedroom served as his office. Chisum never married, but he had numerous girlfriends. The cowboys that rode for John Chisum were very loyal to his Jinglebob brand. At times, his ranch contained as many as 80,000 cows. When one of his men was murdered he helped capture the murderer and took part in the hanging. When his men were attacked by Indians or by cattle rustlers he and his men were known to return fire. One day, he and his ranch foreman followed the trail of his stolen cattle into El Paso and when Chisum found his cattle being re-branded by a known outlaw he shot the man dead. 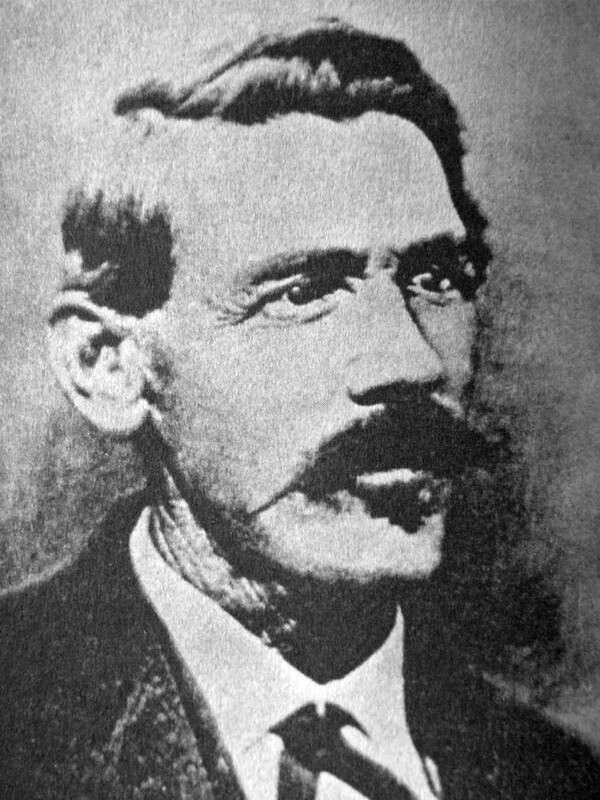 During the Lincoln County Wars, John Chisum sided with Billy the Kid and the McSween-Turnstall faction. At the time Billy the Kid claimed to work for John Chisum, but Chisum quickly denied it. Then when rustling completely got out of hand John brought in the famous Pat Garrett to clean things up. Just a short time later, Garrett was elected sheriff. Soon afterward, he was shot and killed Billy the Kid. Not long afterward, Chisum's enemies had him arrested for fraud. John declared that he had done nothing wrong except trust the wrong people. John Chisum died of cancer on December 22, 1884.